Key Difference: Roku Stick and Amazon Fire Stick and two different video streaming devices. As the name suggest Amazon Fire Stick is designed and marketed by Amazon, whereas the Roku Stick is designed and marketed by Roku. Both are fairly similar, yet there are bound to be some differences between the two. Roku Stick and Amazon Fire Stick and two different video streaming devices that are available on the market. 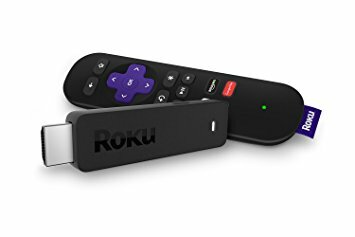 As the name suggest Amazon Fire Stick is designed and marketed by Amazon, whereas the Roku Stick is designed and marketed by Roku. While Amazon is a brand name everyone has heard off, some people may have not heard of Roku. The video streaming services may currently be at the height right now, however, Roku is the company who just may have started the fad for video streaming devices. The video streaming services, such as Netflix, Hulu, Amazon Video, Google Play Music and Movies have been around for a number of years. However, it got to a point that it became very cumbersome to watch shows and movies on their phone, yet the only alternative was to get a smart TV, which would be able to play the videos on the big screen. All this changed, when the video streaming devices were launched. These devices allows one to stream content from those services directly onto a regular TV, as long as they have an HDMI port, which most TVs today do. Roku launched one of the first video streaming devices in the market, and really made video streaming devices popular. Hence, it is generally well respected in the market, and is trusted to know what they are doing. Amazon, on the other hand, entered the market fairly recently. Still, among their many streaming products, two comparative products are the Roku Stick and Amazon Fire Stick. Both are fairly similar, yet there are bound to be some differences between the two. One difference is that the Amazon Fire Stick comes with more memory and storage than the Roku Stick, that’s 1GB RAM and 8GB storage to be exact. The Roku Stick, on the other hand, has 512 MB RAM, and 256 MB of storage. Regardless of that, the Roku stick holds its own against the Fire Stick; in fact its interface has been touted as almost being as fast and instinctive as the Amazon Fire Stick. Still, the better processing power does mean that Amazon Fire Stick beats out the Roku stick in terms of raw power. Also, the more storage means that more apps can be downloaded and stored on the Fire Stick. Roku also supports video, audio and image streaming apps with some simple games. The Fire TV Stick can run more than just media apps and it offers far better gaming thanks to the great Fire Game Controller. However, the Game Controller is available in all markets. Still both do some with a remote control that helps one search for and control content. Both have similar selection of apps and services, with both supporting most if not all of the popular streaming services. Still, Roku also tends to support more of the smaller streaming services that Amazon might miss out on. However, this may differ from region to region, as there are places where Roku stick has not launched but Amazon Fire Stick has. Another difference is that Roku Stick supports HBO Go as well as Google Play Movies, or Google Music, both of which are not supported by Amazon Fire Stick. This could be a downside for many users. Independent of the phone, tablet, or computer. Streams directly from supported apps. Not much support for streaming local video, music, photos, etc.